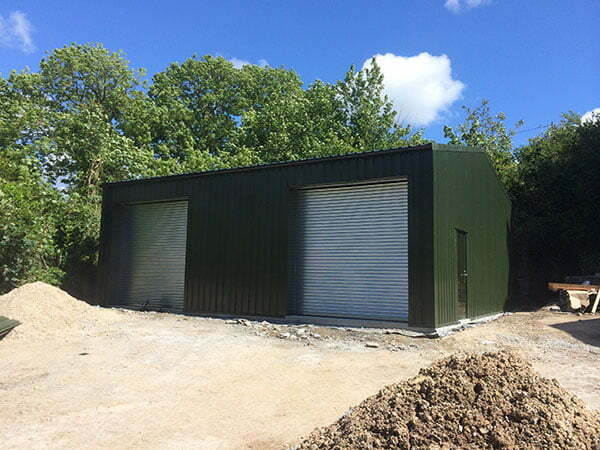 Steel Buildings Cold Rolled Buildings are a great robust solution for steel garages for those clients wanting a bit more than an off the shelf sectional garage. Off the shelf garages generally come in set sizes, which does not always suit the clients end requirements. 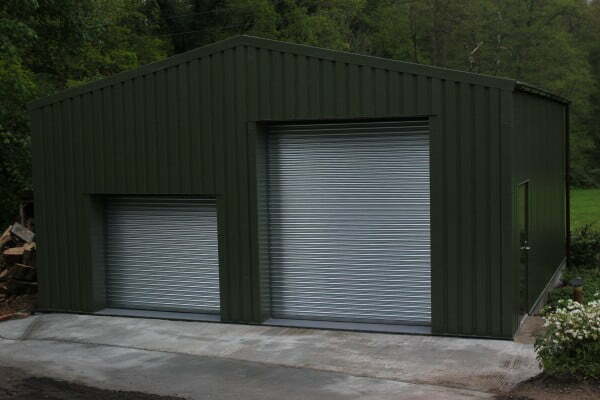 At Steel Buildings we offer a bespoke solution for clients requiring Steel Garages. Were able to offer any length, width and height. 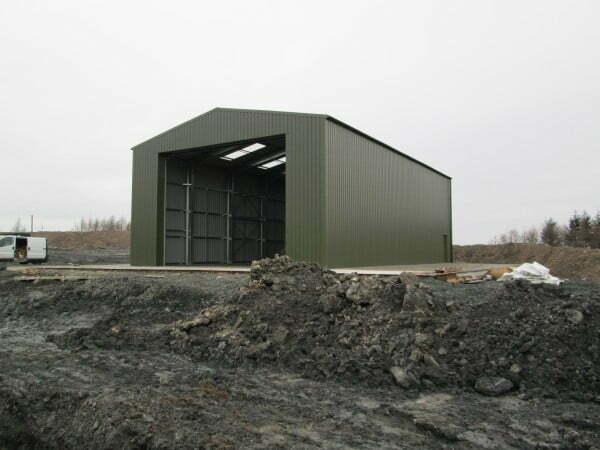 Steel Buildings can also work with our clients to provide the access in and out of the building as required. 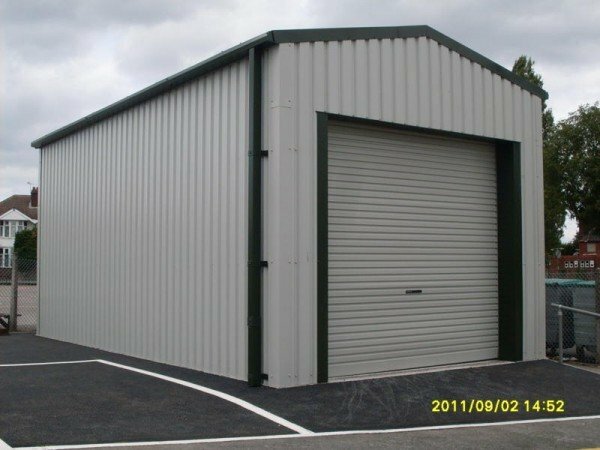 This means Steel Buildings can offer a solution, that will not only work as a Garage, but also other applications. Meaning the building can be used to house cars of any size, quantity. 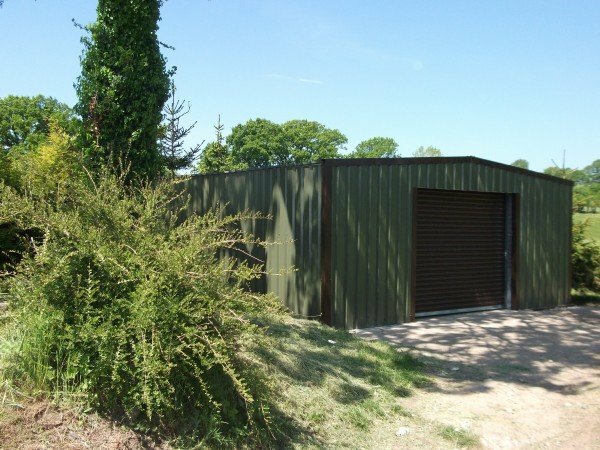 Or offer garaging and a workshop/hobby room. 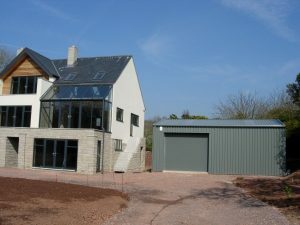 Steel Buildings can provide an insulated garage or non-insulated, depending on customer preference and budget. 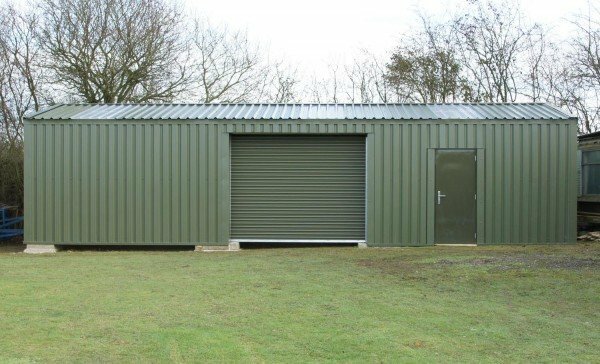 Steel Buildings use the same design method for all of our buildings, meaning your steel Garage / workshop will be designed to industrial standard. Meaning our Steel Building will be going strong long after some of the off the shelf options have failed. 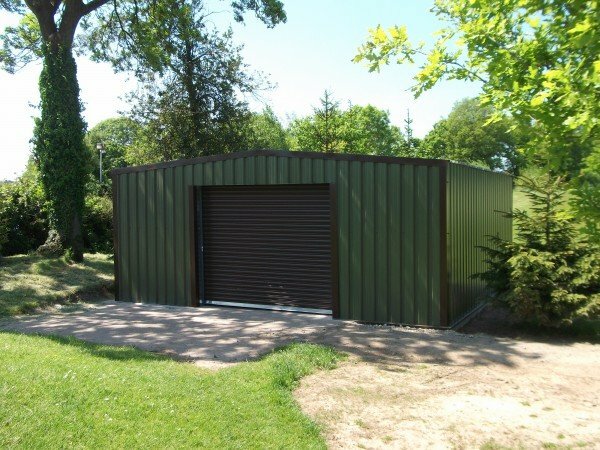 Steel garages can offer a wide verity of colour options to soften the impact of the building on its location. 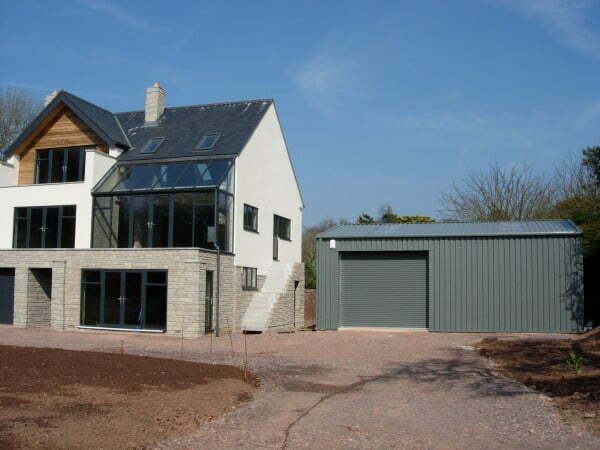 Our external cladding system will allow clients to over clad in a third party material, such as timber. If the timber rots, you will still have a robust sealed unit underneath. Ready to be re clad again.